For Sebastian Arcos, the quest for regime change in Cuba is deeply personal. It’s because that’s the island where he grew up, an outcast who liked rock-and-roll music and dared question Fidel Castro’s regime, where he and his family were imprisoned for trying to escape the country, the place he eventually left but still yearns for a major change in government. It’s because that’s the island where his father — who drew enmity from the government for advocating human rights and ending what he saw as a totalitarian system — first taught his young son how to spear fish, a hobby Sebastian practices to this day in honor of his dad. It’s because that’s the island where he gained the experiences that inform his current long-running role as associate director of the Cuban Research Institute (CRI), which says it has the largest collective of academics and other researchers spreading knowledge about Cuba and the diaspora of Cubans who left for the United States and elsewhere. All those reasons help in understanding why Sebastian, 56, remains deeply invested in the future of his homeland and never tires of talking about it on behalf of the CRI. “What we do is promote and disseminate information, knowledge and research about Cuba,” he said. “That’s important because of Cuba’s historical importance to the United States,” which dates back far beyond the Castro regime to the arrival of Christopher Columbus and colonial rule. Sebastian remains a proponent of regime change in Cuba, and says the past can help inform a new future. He helps organize a wide range of events (more than 70 a year) covering every aspect of Cuba from political science to academia, from arts to architecture and more. 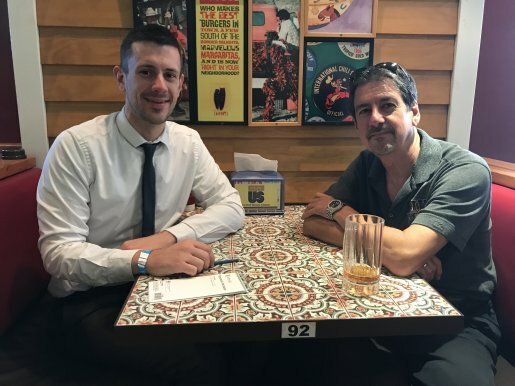 “We are the top center of its class anywhere in the world, we have more people working on Cuba in different disciplines than anywhere else,” he said as we chatted over a lunch on a Wednesday in mid-July. That day, Sebastian was in the middle of coordinating a massive project to tape interviews with people involved in the failed Bay of Pigs invasion of Cuba in 1961. That’s in addition to juggling media interviews, research, and still finding time for his wife and two children. “I also make Cuban coffee every day, that’s important,” he said with a laugh. 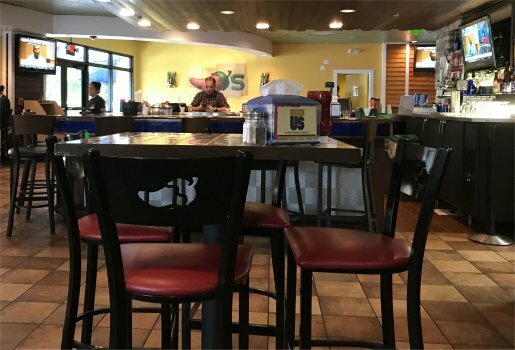 I was in Miami for a holiday and was interested in organizing another dinner interview (the 100th) as the last article was my lunch with actors Santino and Jessica Fontana in March. My thoughts turned to Cuba given Miami’s strong connection with the island. It’s where millions of Cubans have either been exiled or, more rarely, managed to leave of their own will since Fidel and his brother Raul Castro took power in 1959. After some research (I Googled it), I discovered CRI. I learned about Sebastian, as well as his father, Sebastian Arcos Berges, who had originally helped with the revolution that overthrew the dictator d Fulgencio Batista and put the Castros in charge — but later became disillusioned with their communist regime. 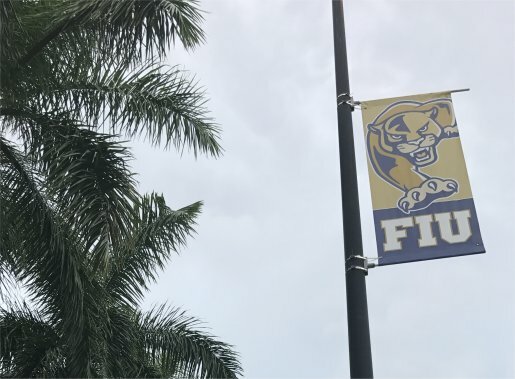 Sebastian agreed to meet for lunch on the sprawling, beautiful campus of Florida International University (FIU), where CRI is based. 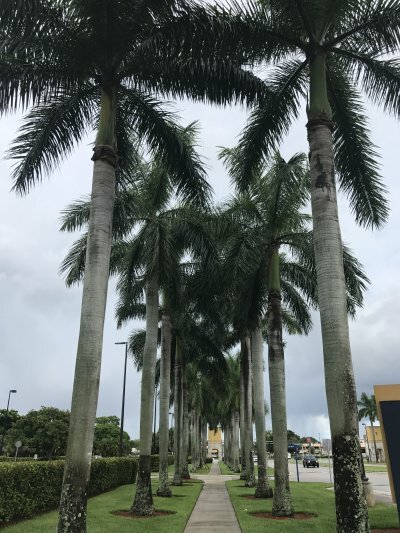 Palm trees line the neatly trimmed walkways and greenery abounds, making the place incredibly pleasant for a stroll. Dining on campus meant that we were choosing from the same chain restaurants as the students, and we settled on Chili’s. 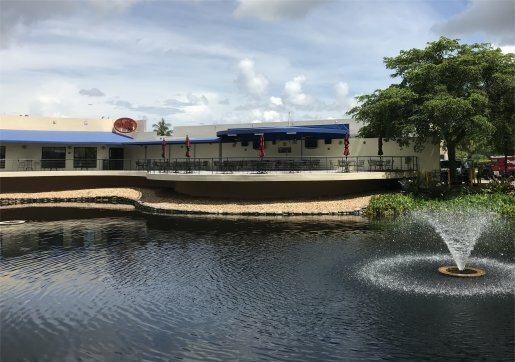 The FIU Chili’s might have the most well-appointed exterior of any franchise, looking out on a large lake with a water fountain in the middle, sun shining down on the outside tables. Unfortunately the heat meant it was too warm to sit outside, so we grabbed a table indoors. But Sebastian knows a lot about Cuba, and during our one-and-a-half hour chat it was clear the one belief he’ll never lose is that the island needs a wholesale change in government. It’s a position that he’s developed over the decades, both from his time on the island and living in exile. Sebastian was born in Havana in 1961 and lived there for 31 years. 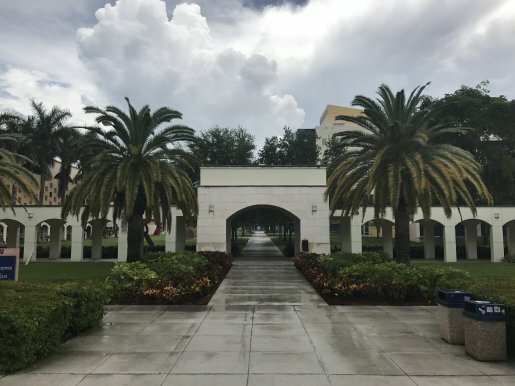 At school he learned about the country’s extensive history, dating back to its Spanish colonization and through its several steps toward full independence — first from Spain and then from the United States. Cuba experimented with democracy and in the early 1900s trade between the country and the United States was strong. Then came Batista, originally democratically elected but who staged a coup in 1952. That prompted the Castro-led revolution, which saw Fidel installed as leader in January 1959. It was the embrace of Communism and the Soviet Union under Castro that turned the United States off on the island, leading to increasingly tense relations that brought the countries to the brink of nuclear war during the Cuban Missile Crisis. 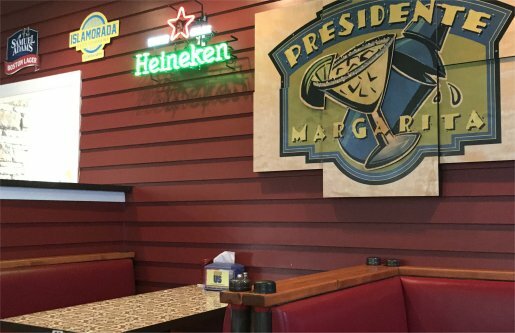 Despite the proximity between the two nations (you can see Cuba from the tip of Key West in Florida), relations remain strained despite different policy approaches under various U.S. presidents. Growing up, Sebastian says his father did not try to instill his own beliefs and concerns about Castro in his son. That’s despite the fact that his father had distanced himself from the revolution he took part in, helping to found the Committee for Human Rights in Cuba in 1981. It came soon after the Mariel boatlift of 1980, which saw a mass exodus of Cubans from the country after Castro and the United States temporarily eased travel restrictions. But the Cuban government, angered by the high number of people who wanted to emigrate, turned to violence and retribution against its citizens. The fallout from that event is something that deeply affect a then-18-year-old Sebastian. They planned to escape by raft or boat. It was a plan rife with risks. The regime was closely watching Sebastian’s uncle, who had already served three years in jail for criticizing it. That made it harder for them to simply try and launch a raft, knowing the coast guard would be watching. Instead, they plotted to sneak out on one of the few boats whose owners had a rare fishing license. But getting out to sea was notoriously difficult because a Cuban official would usually tag along for the ride to make sure everyone on board came back and didn’t emigrate. Eventually, someone Sebastian’s uncle had known in jail said a fisherman in the small port of Cojimar (where Ernest Hemingway used to have his boat) would take them to the United States in exchange for money. The Arcos family did as asked, but the fisherman had been working with the secret police the entire time. When they arrived at the meeting point, they were arrested. “They prepared a trap for us. We fell into that trap, and they sent us to prison,” Sebastian told me. His mother and sister were released after one week in jail, while Sebastian — still a minor — served a full year, while his father was sentenced to six years. “Six years in prison for trying to leave the country!” Sebastian said, his disbelief and frustration still evident today. His uncle was a recidivist in the eyes of the government, and so he got an extra year on his sentence. Once Sebastian was released he tried to continue with his life on the island, even enrolling at the University of Havana to become a marine biologist. “But I became politically incorrect, and they kicked me out because university was only for revolutionaries in Cuba,” he said. It was a tough year for the Arcos family because his father was arrested again that year for alleged anti-government propaganda. It was the start of a lengthy time in jail in which his father would refuse deals to leave the island in exchange for his freedom — a stand-off that resulted in his freedom in 1995 after an international campaign, and never having conceded to the government. 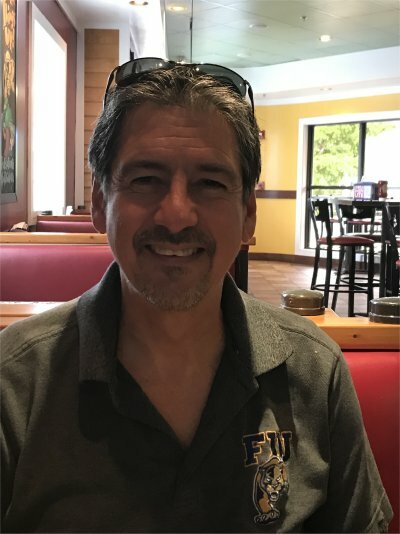 He stayed at FIU where he also got his master’s degree in public administration, and then worked in various roles at the university including association director of development at the School of International and Public Affairs, and as assistant to the FIU president. In addition to his current role as CRI’s associate director, he’s had a host of other important positions including a stint advising the U.S. Department of State on Cuban human rights issues from 1998 to 2000. So that’s why, as a pasty British guy from the northeast of England, I deferred to his thoughts on the future of the island rather than chiming in with my own. Telling Sebastian my ignorance about Cuba, he laughed and said, “That’s quite all right,” and said that’s why CRI exists. 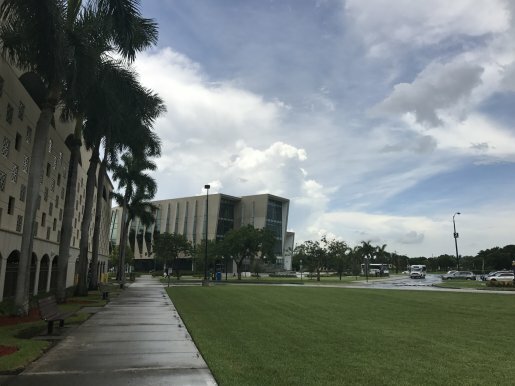 CRI operates with a permanent staff of four people, and the director Jorge Duany is a faculty member who teaches at FIU. Sebastian is not faculty and instead handles the administrative side of things, everything from fundraising to creating advisory boards and speaking on behalf of CRI at events not only in Miami but around the United States and elsewhere — including his current work on the Bay of Pigs project, which he says will lead to the largest archive of interviews with survivors, a mammoth undertaking with headache-inducing amounts of coordination. If it’s stressful work, Sebastian doesn’t show it. From the moment we met and shook hands he was warm and friendly, focused when talking about Cuba but able to explain the island’s history and its complicated present day situation easily to a layman like me. Despite telling me that Cubans like shouting, he spoke at a relaxed, pleasant pace and wasn’t shy to laugh or smile during our talk. Plus, he chuckled at a couple of my quips so I found him to be instantly likable. Sebastian’s friendly nature, I’m sure, helps him in helping spread the word about CRI. And with uncertainty over the future of U.S.-Cuba ties, it’s something he’ll always be talking about. Looking to the future, Sebastian takes issue with how the United States has handle Cuba in the past. He says that hardline outright isolationism – seen at the peak of the Cold War — isn’t a viable strategy as it emboldens the Castro regime. In contrast, he also believes that President Barack Obama’s efforts to improve relations went “too far, too fast” by producing too many “carrots,” like reopening the U.S. embassy in Havana, and too few “sticks” in terms of concessions from Cuba on policies such as improving human rights or easing restrictions on private trade on the island. Proponents of the United States easing travel and trade limits on Cuba counter that the regime has engaged in various policy reforms as a result of Obama’s diplomatic outreach, Sebastian says: Steps such as allowing cell phones and more private home ownership or letting Cubans stay in the government-run hotels where only tourists could stay. These advocates warn that undoing Obama’s moves will worsen life for Cubans and discourage further reforms. So what’s the sweet spot for Sebastian on Cuba policy? Before he answered that, we tucked into our lunch. 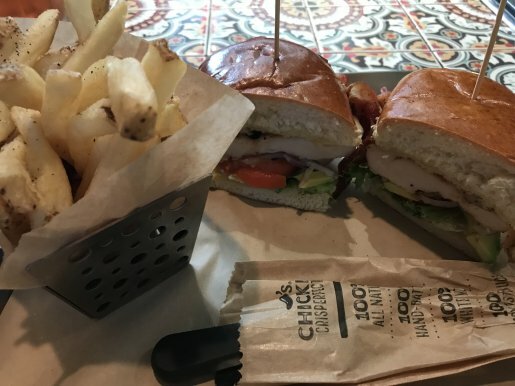 I ate the bacon avocado chicken sandwich, which was exactly as the name suggested. Slices of fresh avocado, onion and tomato formed the base for large cuts of moist, nicely seasoned chicken with a few rashers of crisp bacon on top. The fries seemed a little undercooked and over-salted, but I still managed to finish them. 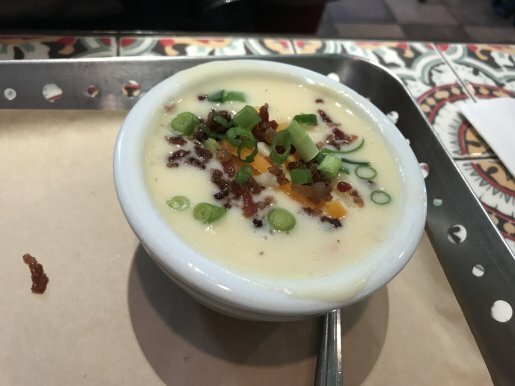 Sebastian had a cup of loaded baked potato soup and a sandwich, although here’s where the narrative hits a snag. Even though my day job is a reporter, my journalism skills were sloppy that day because I have forgotten which sandwich Sebastian got and also didn’t take a picture of it. But we both finished our plates, and while it wasn’t fine dining, it was still enjoyable. Yet we barely discussed the food, with Sebastian instead telling me how Americans’ views of Cuba affect the island’s future. He sees two divergent views: One is the original Cuban exiles and those aware of the “actual facts and history,” who see the government as running a Communist totalitarian state that has been allied with every U.S. enemy in the world, including North Korea. And it’s a regime that has beaten, arrested and “disappeared” thousands of homeland dissidents. Then there’s the other view of Cuba which he said is taken by people unfamiliar with island or who have broad assumptions about the place. “They see Fidel Castro as a Robin Hood fighting against a corrupt military dictatorship, bringing welfare and prosperity to impoverished Cubans. But they ignore history. Yes there was a dictatorship and many Cubans, like my mother’s family, hated it. But they helped finance Castro’s revolution against Batista — not because they were impoverished, but because they Batista had taken over the previously democratic political process. Cuba was a very prosperous country back then,” he said, so the Robin Hood analogy fails. Given the split over views on the country, some have suggested that by easing travel restrictions and sending more American tourists to Cuba will help propel social change on the island. He also finds it a patronizing idea when Americans say they want to get to Cuba before tourism “changes” it. He’s also frustrated by that logic because it’s based on the idea that Americans want the right to choose to go to a McDonald’s or a Starbucks but don’t want Cubans to have that freedom of choice, or for the island to change and people to get newer cars before an American can get their selfie with a run-down 1950s automobile (because modern cars are not allowed for sale). Regime change is, for people like Sebastian, the ultimate goal. “So understanding the limitations of American power to generate regime change, let’s do the best we can to show the best American face without necessarily contributing to keeping the Cuban regime in power,” he said. Sending tourists and business to Cuba empowers the regime, whereas directly engaging the Cuban people — for example, by making it easier to send money to family back on the island — is the most workable (albeit long-term) strategy to build a groundswell of support for change in government. Until then, the Castro family continues to maintain its hold over the island. Although a lot of Sebastian’s time is dedicated to CRI, he still finds time to spend with his family and to indulge his hobbies that include listening to rock and roll music from favorite bands including Pink Floyd and Led Zeppelin (“the same music that got me in trouble in Cuba”), building an aquarium at home, and taking his boat out for spear fishing. He and a friend own a boat for which they split the costs and go out fishing together, a skill that Sebastian learned from his late father when he was a teenager. “There is no better way to decompress from the daily routine, the tensions of the city, from work, than free diving spear fishing. You have to hold breath and go down 40 feet, the exercises of breathing, the silence that you find underwater, the way you have to move very slowly and carefully so you don’t burn the oxygen you need to stay down — there’s no better therapy for brain and good for the body,” he said. “I also honor my dad by doing that,” added Sebastian, and it was clear throughout lunch that he holds his father in enormous respect. In 1995, his dad was released from prison and a medical inspection revealed an orange-sized tumor in his colon. He had to leave the island for treatment, so even though he never conceded exile in exchange for freedom, ultimately he left Cuba. “He resisted the Cuban government and, in the end, they released him unconditionally. But when he had to come to Miami for treatment, it was very difficult for him,” Sebastian said.